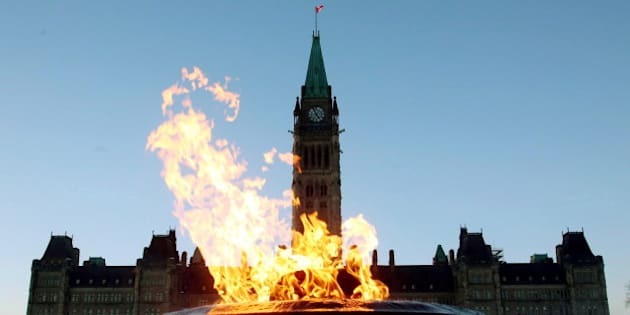 OTTAWA - A plan for the RCMP to assume control over the oversight of security inside the Parliament buildings ends a tradition of an independent protection force on Parliament Hill that goes back almost to Confederation. Here are five things to know about that force. 1. The need for security on the Hill was a precursor to the Royal Canadian Mounted Police. The Dominion Police force was created in 1868, specifically to protect national buildings like Parliament. But in 1920, the force merged with the Royal Northwest Mounted Police to form today's Mounties. 2. But MPs didn't want the Mounties inside the Parliament buildings. Parliamentarians were wary of having the newly formed RCMP providing security inside Parliament, partly because they were concerned about encroachment on their rights. So a small unit of the Dominion Police force was hived off — three men to protect the House of Commons and three to protect the Senate — and it grew to a team of about 300 people. 3. They once rejected a merger with the RCMP. During the Second World War, so many security personnel enlisted in the military that there were concerns there weren't enough left to guard Parliament. A plan was drafted to get the RCMP to take over, but it was never signed. 4. They don't just provide protection. Though their main job is to keep the Parliament buildings safe, the force is also responsible for the daily turning of the pages of the books of remembrance in the Memorial Chapel and for many years also gave public tours of the Parliament buildings. 5. They haven't always had guns. Former sergeant-at-arms Kevin Vickers drew worldwide acclaim for shooting and killing the gunman who stormed Parliament Hill on the morning of Oct. 22. But House of Commons guards weren't armed until 1984 and it wasn't until this year that they all began carrying weapons.